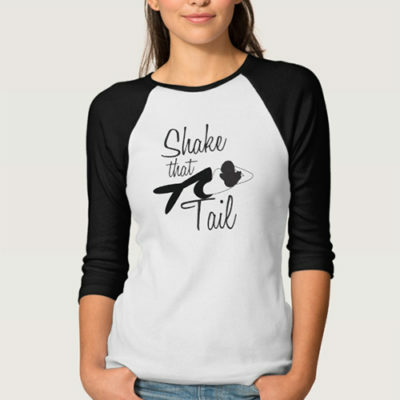 Shake that Tail all you Mermaids out there. 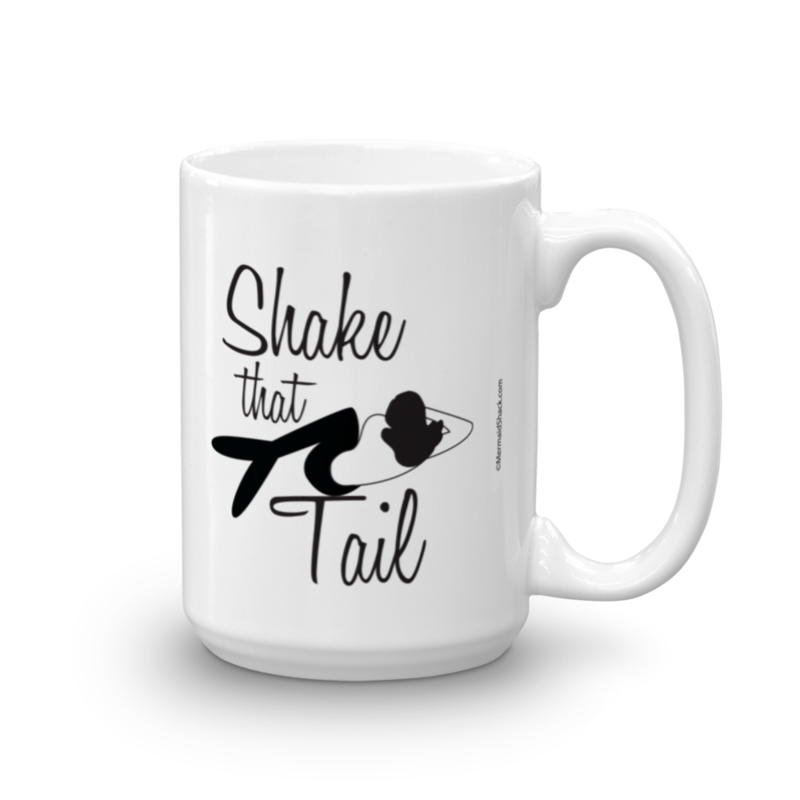 Make some waves and shake that tail! 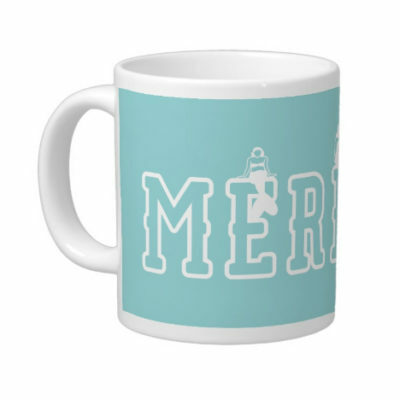 A simple way to remind us of the power that is in all of us, Mermaid and landlubber alike. Goes in the dishwasher and microwave. Go ahead, you deserve it. 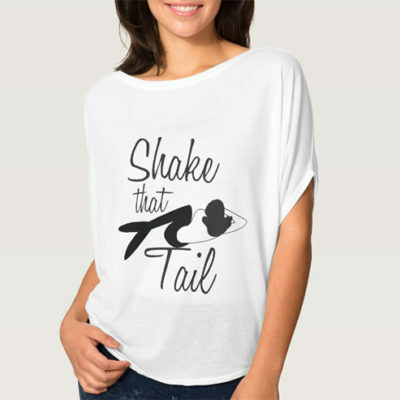 Calling all Mermaids to Shake That Tail! A small flap of the tail will not do. 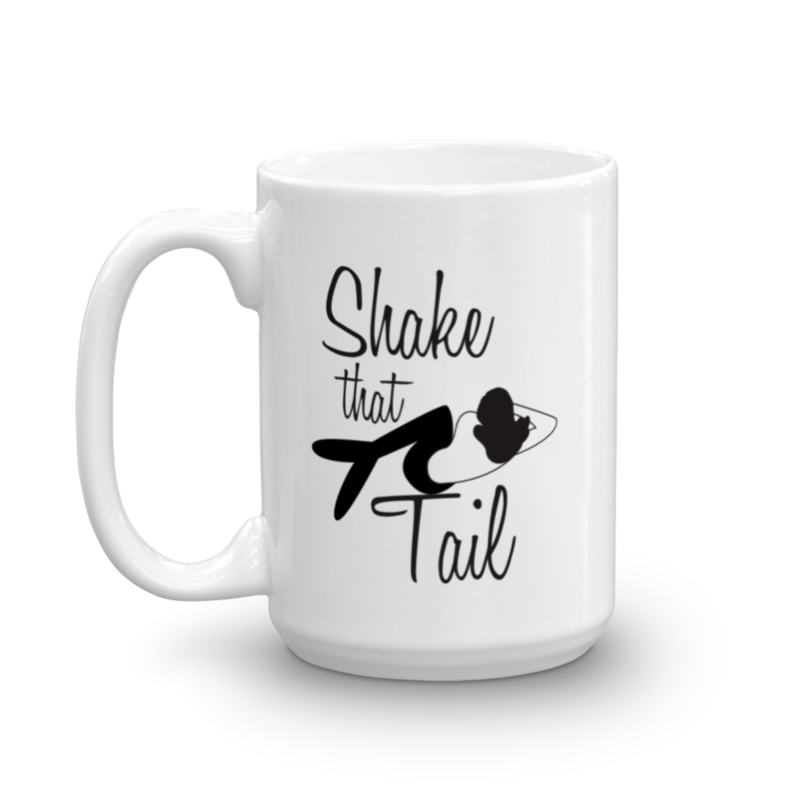 Make some waves and Shake that Tail. Printed on demand and shipped in the USA. Please allow 10- 14 business days to receive mug. Shipping is 10.00. Please contact the Mermaid Shack for pricing on larger quantities.